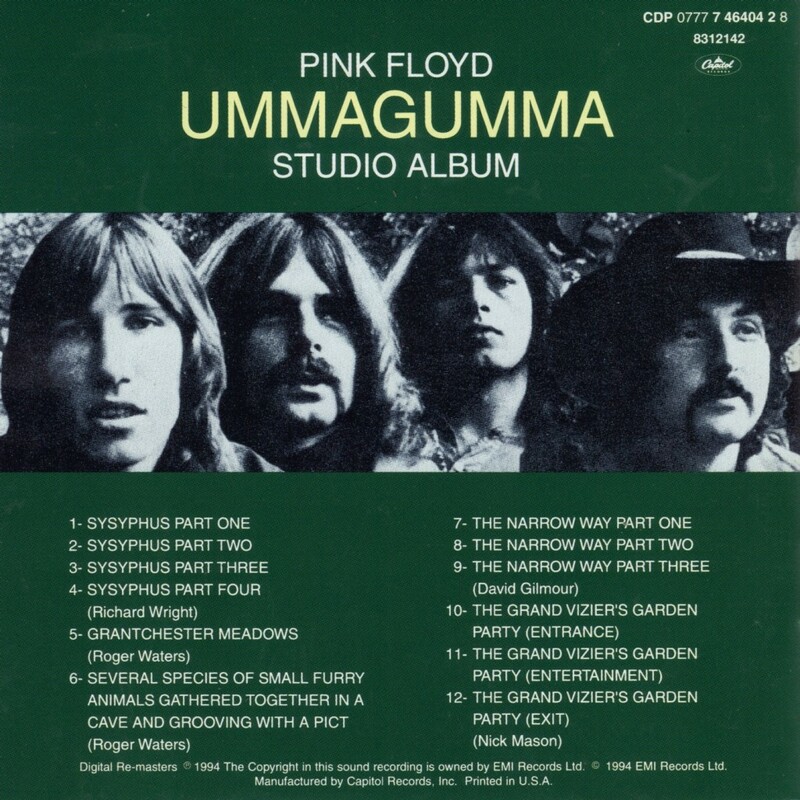 Ummagumma the double album by Pink Floyd, released in 1969 by Harvest and EMI in the United Kingdom and Harvest and Capitol in the United States. The inner gatefold art shows separate black and white photos of the band members. 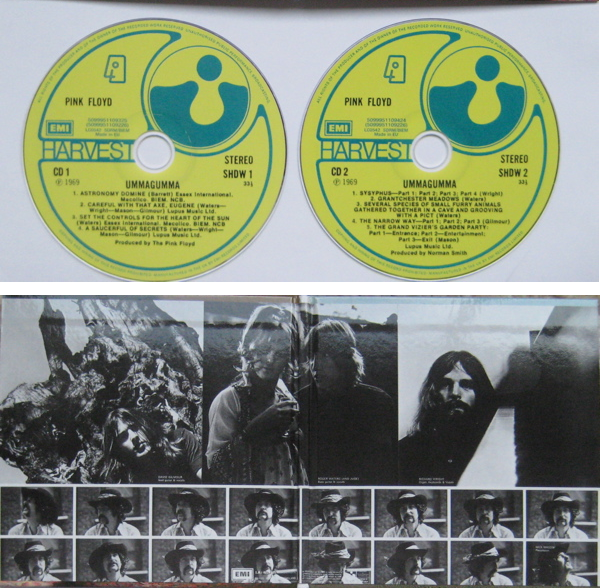 Original vinyl editions showed Roger Waters with his first wife, Jude, but she has been cropped out of the picture on most CD editions. In 1987, the album was re-released on a two CD set. A digitally re-mastered two CD set was released in 1994 in the UK and 1995 in the US. Neither CD release includes the picture of Jude. The uncropped picture was restored for the album’s inclusion in the box set, Oh, by the Way.